Any chance of Trooper and Ritter in 1/100? I think we will have to wait for Shizuoka Hobby Show. 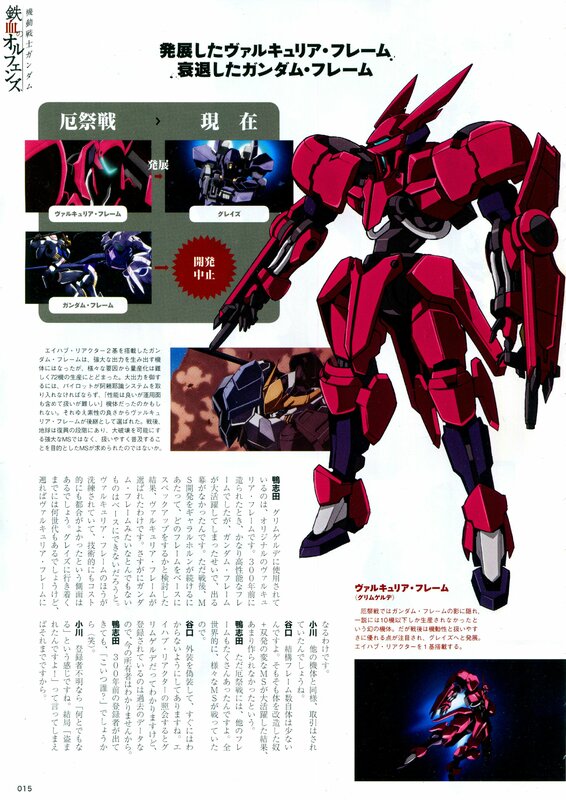 Grimgerde will definitely be back next cour. 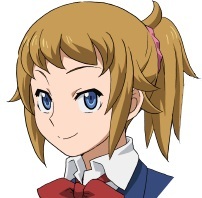 Can't tell how long the time skip would be, but it will need to be enough to make Ameria 16-18. They'll most likely have new minor change Grazes or maybe a sister frame for the remaining 4 star families but no large tech jump to maintain the authenticity of technological pacing. I am anticipating that the remaining 4 stars might have been a separate faction in opposition to Baudin and Issue and hence they could be using different MS models. I now see the purpose of the Grimgerde's shield mounted swords as it works similar to the Unicorn tonfas, has longer reach and better for blocking. I just want to buy more model kits of the real good guys and kill off McGliss nad Tekkadan. Too bad Ein was more like a mid level boss rather than final boss. The Gusion was definitely no mid level boss, but a second level boss. I think based off of Mika's condition in the end that the original Gundam pilots were not permantly integrated to the gundams like Ein was to his graze. I suspect Ein was inegrated like that cause of A) the injuries he suffered required it and B) the tech the current gjallarhorn developed. Unless there was some lost tech or conditioning that allow them to fully connect to the gundams and remain full control of their bodies when disconnected, they were probably bound to a wheelchair. And that would make it easier for the old gjallarhorn to cover up the full AV system potential if the hero pilots of the gundams suffered injuries that could be explained away as normal war injuries rather than obvious human experimentation that Ein ended up as. Also when Mika said he finally understood how to use the sword, maybe something just clicked/came to mind, but i saw it also as a possibility that the higher AV connection maybe allowed access to a memory bank in the barabatos of previous pilot data/skills. Nothing has indicated this but the overall tech of the AV system seems to indicate it as possible. It is at its core an information transfer device between man and machine and just as the machine gains the balance and reaction of a living being the human gets the superior senses/info from the machine. So other info could be transferd as well. Looks like info on the Side Story I do believe. Was there ever an explanation for why there have been NO beam weapons used by battleships or mobile suits in this universe? Is it also taboo to use or has technology simply never advanced to that type of tech? radioactive28 wrote: Seeing what happened to Mika's arm after the battle, I think what Ein meant by the perfect AV system was this: complete man-machine integration achieved by discarding the biological body. I think this is the most likely scenario. From what we've seen in the last episode, Mika lost the use of his right hand and right eye. 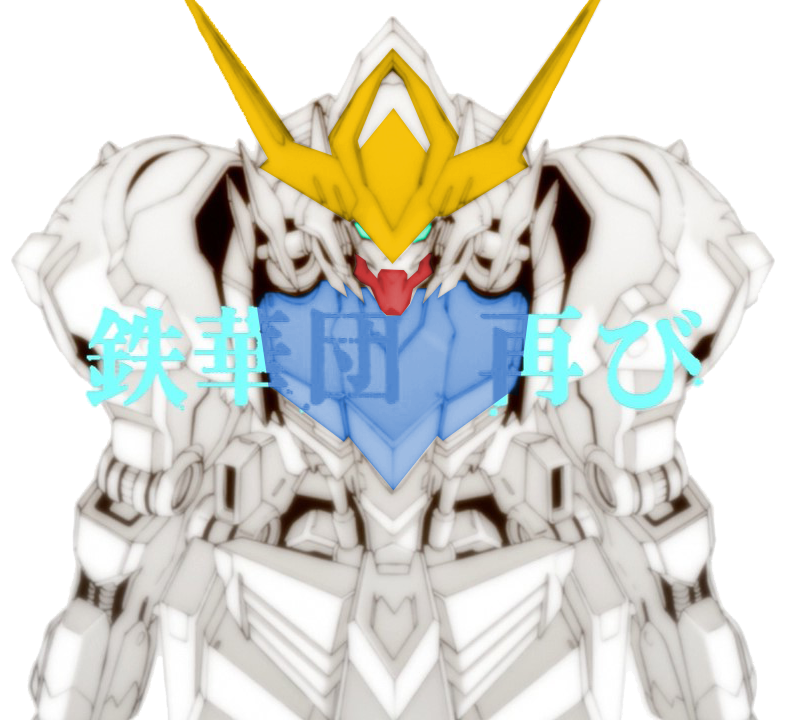 When he asked Barbatos for more power, it obliged by using the AV system to modify his nervous system so that he could use Barbatos' right hand and right eye as a fully-integrated extension of his own body. By doing so, he could wield the katana with absolute precision and hand-eye coordination. The ultimate state of this set-up is obviously something similar to Ein's, where a person has 100% control of the suit, but at the cost of losing control over his body. We don't know if all the Calamity War-era pilots achieved 100% integration, but those who did were probably given a similar set-up to Ein's where they're kept alive by a life-support system integrated into the cockpit. It's either the pilots were permanently integrated into the cockpit or they were cared for at a medical facility in between missions. Either way, the potential for misuse is too great, which is probably why Gjallarhorn wanted a full ban on the technology. Oh, as for Gaelio's ancestor, I'm assuming that Gjallarhorn initiated a cover-up. There are lots of ways that they could have spun the story around, kind of like the Marcenas' family conspiracy in Unicorn. Also, they keep on mentioning that the Gundams are a forgotten legend, so whatever rumors of full AV integration that existed back then probably died with it. It has been 300 years after all. domino wrote: Was there ever an explanation for why there have been NO beam weapons used by battleships or mobile suits in this universe? Is it also taboo to use or has technology simply never advanced to that type of tech? Nothing in-universe yet. To be fair, we don't know whether beam weapons may or may have not existed in IBO since its been hinted that humanity regressed technologically in some aspects as a result of the Calamity War. Humanity was pretty advanced though seeing how they could colonize Mars and all that while Ahab Reactors are essentially semi-perpetual devices. Could be that beam weapon technology never became that practical as well. While we're on that topic, we know very little about the Calamity War itself but I would be very surprised if there was no WMD of sorts in play. It may not necessrily be the same nuclear ones we have in real life today but it was a pretty destructive war and I assume SOMETHING did something to the moon. The most likely exaplanation is...the same reason there is NO beam weapons used by battleships in this universe . Though to agree with Kuruni, plasma weapons would be horribly inefficient, so long as there's enough EMP protection. I presume that Season 2 will be about the Beam Weapon arms race. BrentD15 wrote: I presume that Season 2 will be about the Beam Weapon arms race. Barbatos's designer has already gone on the record as saying they will be no beam weapons on IBO. Fine with me, but is he controlling what the staff ultimately decide? Okada might wake up one morning from a particularly flashy dream and go, "Beams! Beams everywhere!" Won't that make IBO the first Gundam to not have beam weaponry? -AV System is necessary to display the Gundam Frame's potential from the dual Ahab Reactors. -In frequent combat the Barbatos's mobility fell, so the Flight Unit was added. -Here it says the Hyakuri is developed by Teiwaz, the backpack also has an Ahab Wave detection Sensor. 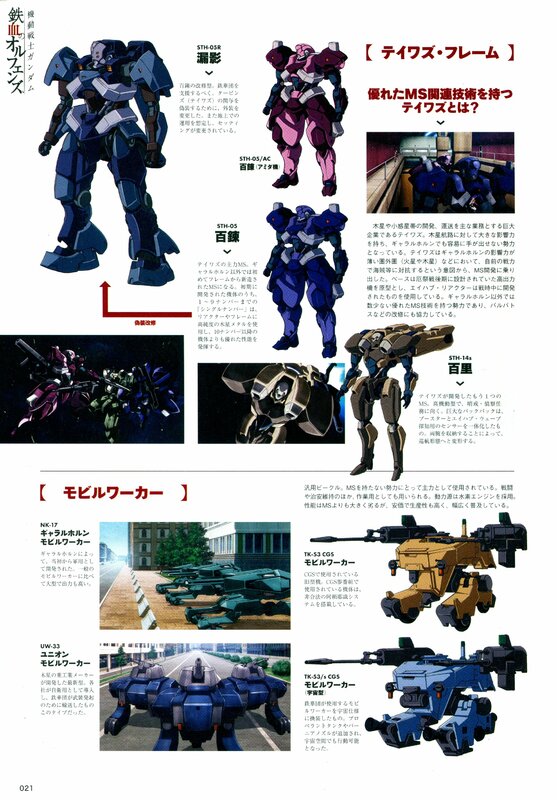 It also says the base for Teiwaz development was the high output MS from the end of the War, mentioned in the Hyakuren manual. Teiwaz wanted to compete with pirates with their own forces so it began MS development. -Union MW is the latest type from the Jovian manufacturer. -Fareed clan is about 3 seats below the Bauduins, Issue is the most prestigious. -Spinner Rodi's back waist weapon is a two-handed hammer, a tool used in colonies that doubles as a weapon. 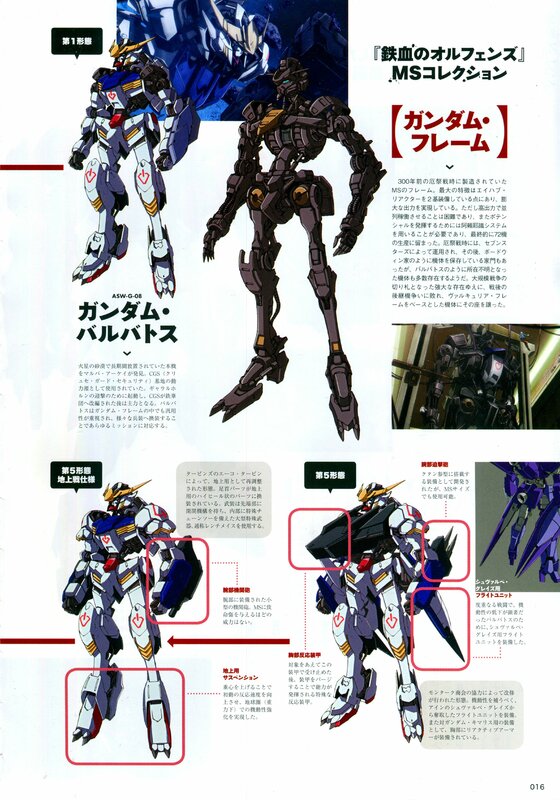 -Valkyria Blades are made of a rare metal that's even tougher than the Gundam Frame but not enough to make 1 MS body. This tech has been lost. -Teraoka did the Hammerhead and Brewer's ship. Last edited by balofo on Tue Mar 29, 2016 1:39 pm, edited 2 times in total. 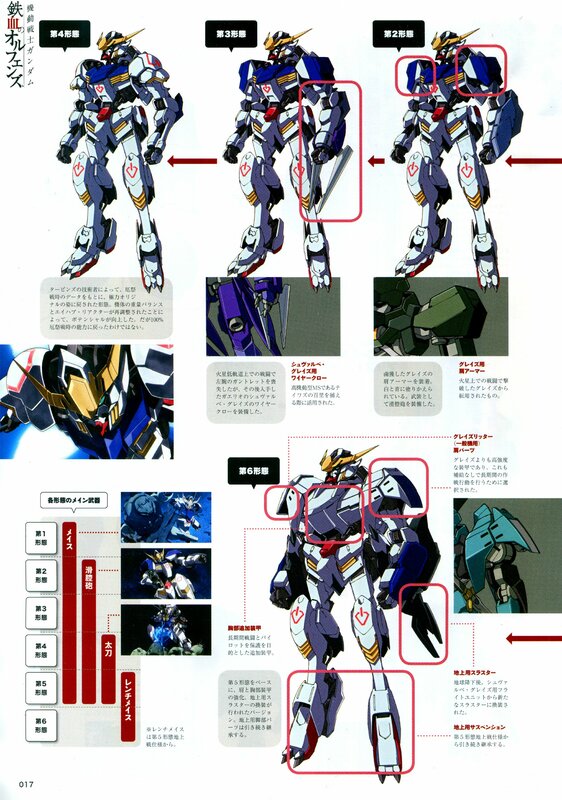 So, that's a few more Gundam Frames we can expect to get a look at next season. Everyone start rolling dice on your monsters table to see which of the remaining 68 names will be used. domino wrote: Won't that make IBO the first Gundam to not have beam weaponry? Yep, we've had franchises where we've seen the introduction of beam weaponry and the effect it has but we've never gotten one yet where beam weaponry hasn't appeared at all. So far IBO has proven to be the exception. I have a question, are Ahab Particles and Ahab Waves different things? I've seen the term Ahab Particles just once I think and it was the HG Barbatos manual. After that, I've only seeing the Ahab Waves in dialogues and manual translations. I've not seen them being referred for anything else. So I guess they are there then? I wonder whether they can switch between one another or whether they are seperate and non-interchangeable. Amion wrote: Fine with me, but is he controlling what the staff ultimately decide? Okada might wake up one morning from a particularly flashy dream and go, "Beams! Beams everywhere!" Its most likely that the mechanical designers have quite a say in how the mecha aspects of the show are handled. Afterall, these thing require a lot of coordination. He is most likely just presenting the consensus the group has decided. That being said, statements about something can be ignored by the creators themselves. 00's director once said something about the fate of the Original GN Drives in an interview, before retracting said statement later. The sequel movie also doesn't follow that original statement either. So there's no 100% guarantee that his statement will stay true. It also doesn't help that we don't even know how Season 2 came about production wise, which may be important in how the statement can be interpreted. Nevertheless it is still an important indicator of their vision at the very least. Last edited by SonicSP on Tue Mar 29, 2016 3:11 pm, edited 1 time in total. Nope, the director just tells them what he wants and they have to deliver, this is also the cause of some details/weapons not having lineart. They can have less or more freedom, but the director/producers and Bandai decide ultimately. 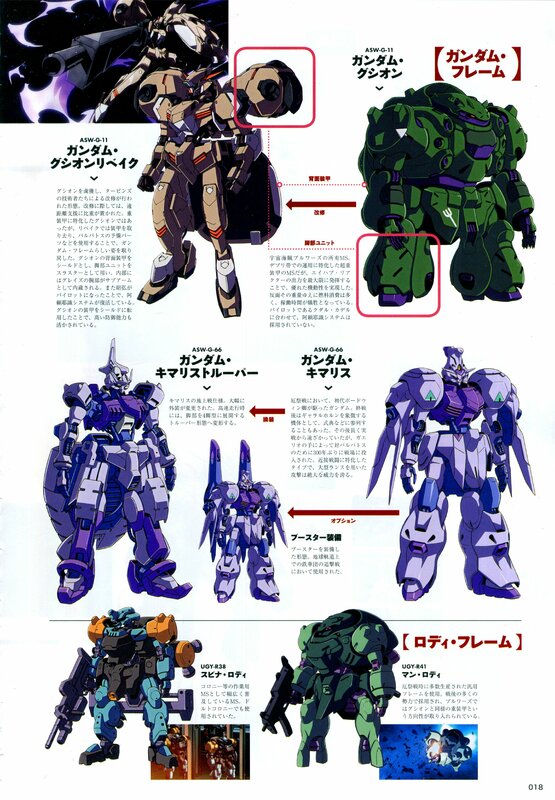 See G-Reco, Tomino changed the factions to which some MS belonged after Ippei had designed them, making some tech out of place like the Kabakali being the underpowered final boss it was. So McGliss got the Fareed and Baudins under his control, with the issues still pending, and then 4 other families left. 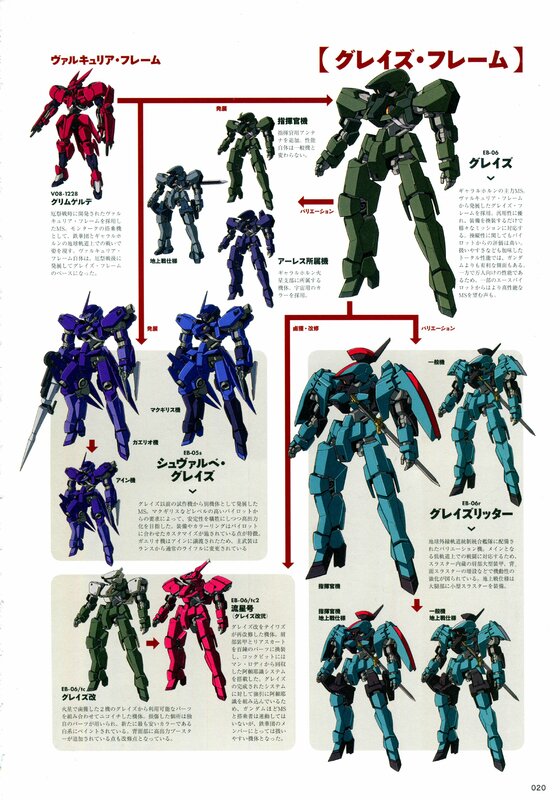 That would mean the Fareeds would have a Gundam frame.